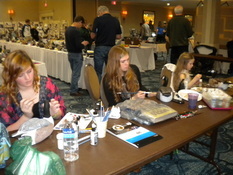 ​ODCCA once again is offering a weekend full of live demonstrations for all ages and skill levels. This is a great opportunity to become familiar with wildlife art, and how it is made by hand, one at-a-time. Inspired artists will find the supplies they need to get started. Patterns, cut-outs, tools, wood, painting supplies and reference materials are available for purchase at the show. And there are plenty of friendly people willing to give advice. All of this is included with your $5 admission! 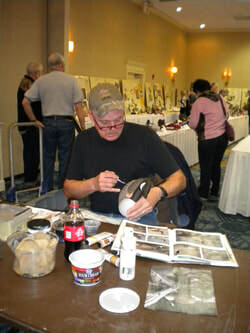 Throughout Saturday and Sunday in the Ballroom, Willy McDonald, artist, craftsman and instructor will be demonstrating carving, painting and airbrushing techniques. He will gladly answer your questions and provide friendly advice. Visit his website at www.theduckblind.com for more information. Award winning artist and gifted teacher, Al Jordan will present a seminar on air brushing. His intimate knowledge of bird anatomy enables him to focus on both art and nature. This seminar will focus on everything airbrushing, from basic to advanced techniques.$35 fee, class size is limited, advanced registration required. 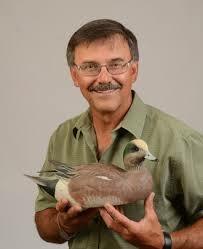 ​​Pat Godin, champion caver, painter and artist, will demonstrate how he “Paints Iridescence” on decoys. Seating is limited, Cypress Room, email VinceCiola@gmail.com to register. March 11, 9 a.m. to 1 p.m. Call Dave Forrest at (216)-559-0323 to request a shorebird blank. How much detail can you paint on a shorebird within four hours? On Sunday, March 11, 2018 contestants will bring their pre-carved shorebird and paint supplies to compete against the clock, 9 a.m. to 1 p.m. in the Ballroom. The pattern this year is a Sanderling designed by Gary Joe Bryan. There is no entry fee. Each carver will request a blank that will be sent to the carver. There are no rules for carving so you may go all out. You must bring the carving to the contest on Sunday. There will be a limit of 10 blanks sent. For more information, click here to view the 2018 Competition Rules and to request your blank. March 11, 10 a.m. to 1 p.m.
Contestants will be provided a half-size Tundra Swan blank to paint at the show. 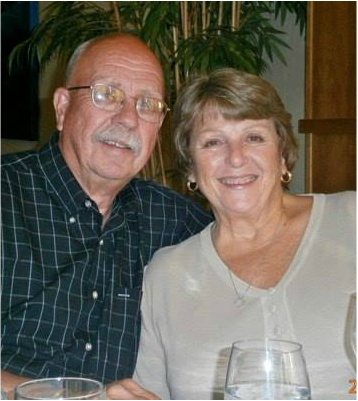 Contact Duane Ganser to reserve a blank. This year’s bird is a half-size Tundra Swan. A gesso covered decoy will be supplied. Contestants must furnish all of their own paints, brushes, etc. This contest has a three-hour time limit, no entry fee. Contest will be held Sun., 10 a.m. to 1 p.m., in the Ballroom. Winners to be chosen by judges. All entries become property of the ODCCA and will be auctioned on Sunday, 1:30 p.m.
Al Jordan will present a Friday morning seminar on "Everything Airbrushing". "Painting Iridescence" is the subject of the Sunday morning Seminar by Pat Godin. Watch the best at the Decoy Paint-at-Show Contest, Sunday. These young ladies demonstrated their skills at the Sunday Paint-At-Show contest.